I did a little core/tail spin this week, it's a different color palette than is typical for me, I'm pleased with how it turned out. There is a lot of texture going on, gotta love texture! Here's my pre-spin palette, Wensleydale locks, Corriedale, Finn, Mohair, a couple shades of recycled sari silk and some corresponding bling. 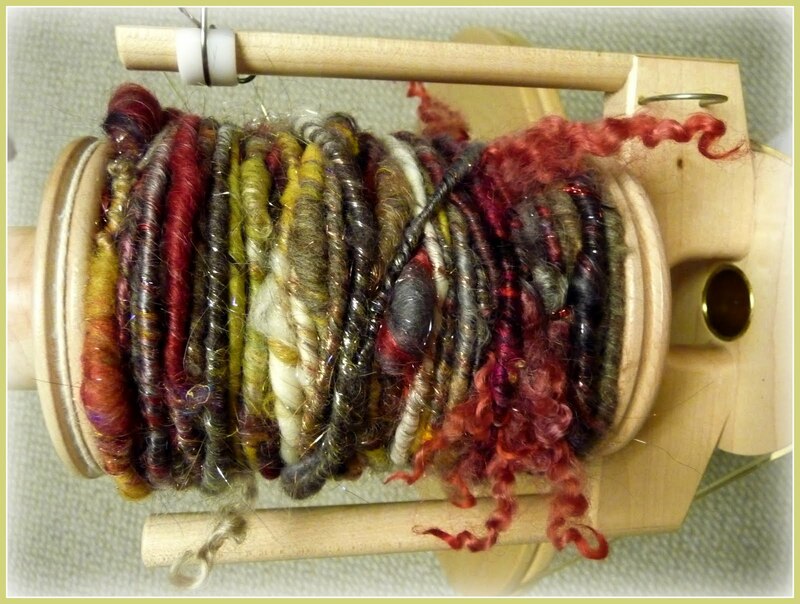 And here's my finished skein after a day of resting on the bobbin, it's now having a little tubby to set the twist. 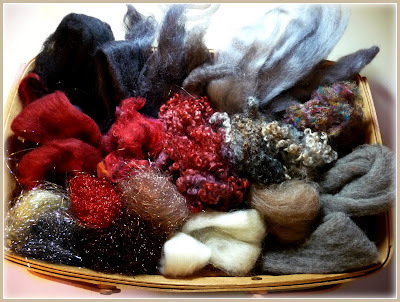 I sure had fun with this, I custom dyed all the fiber for this color palette (except the sari and angelina of course) Rich reds, silver, gray, black, bronze...I love color, don't you? You are a rock star! I love your yarn! I do love when you post the photo of the fiber before you spin too. It really shows the transformation and the change in color once spun. How glorious!! I just made two scarves with some fabulous handspun art yarn that a friend gave me. I think you spinners have magic fingers! What fun! I haven't ventured too far down the art yarn path yet, myself. Super Fabulous color and texture, absolutely love reds. Anxious to see what you do with it. A hat maybe? Very pretty and very much not your typical colors. Wasn't it fun? 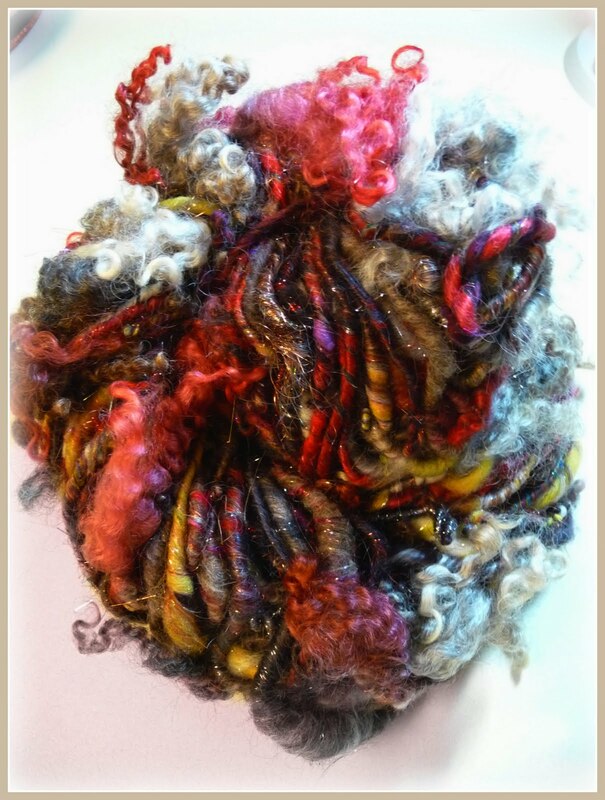 Happy Fiber Arts Friday. Wow, wow, wow is all I can say about this latest yarn. Oh, I am so very in love with this yarn!!! fabulous yarn, the colours are really beautiful, what will it become? I think this yarn is beautiful as is. No need to knit it. Just place it on a pedestal in the center of your living room! Awesome colors, awsomely spun! Super-duper love it!! Great colors and wonderful spinning. Wish I could touch it! Wow! Your stuff is always so much fun.